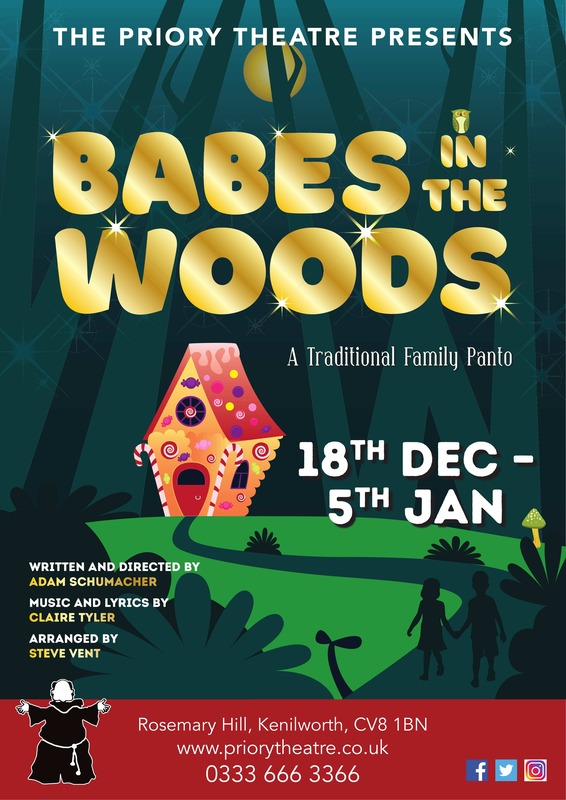 Ever wondered what the story of Babes in the Wood is about? So have Doris and Boris, two failed Morris dancers. Arriving in the Village of Nether Wallop, not only have they lost their way, they’ve lost the plot too – literally! Meanwhile, Babes Greta and her sworn protector Han have been forced to move in with Uncle Silas – but is he as lovely as he seems? Or is it just a ghastly ruse to steal her inheritance…? Join the Priory Theatre this Christmas for more panto-mayhem, as we head deep into the Woods for the adventure of a lifetime. Just watch out for the Gingerbread House…!